Have you ever wanted to travel across the country, but weren’t sure where to start or what to include in such a huge trip? Don’t worry, Chevrolet has done the legwork for you. Teaming up with data scientist Randy Olson, Chevy and Olson set out to create the ultimate cross-country road trip. Not only does the route pass through 48 different US states, but every destination on the map is a must-see, family-friendly vacation spot. Chevrolet recently conducted a survey asking parents about their favorite part of road trips is, and the top two responses were “spending time with family” and “exploring new and interesting locations.” Olson and Chevrolet’s collaborative effort allows families to focus more time on each other and on exploring rather than the stress of planning a route and the frustration of having to backtrack to a missed landmark or other fascinating destination. If you plan on taking your family on this cross-country road trip, you might also be concerned about fuel economy and having a reliable vehicle. Additionally, you’ll have to keep the little ones entertained between stops. 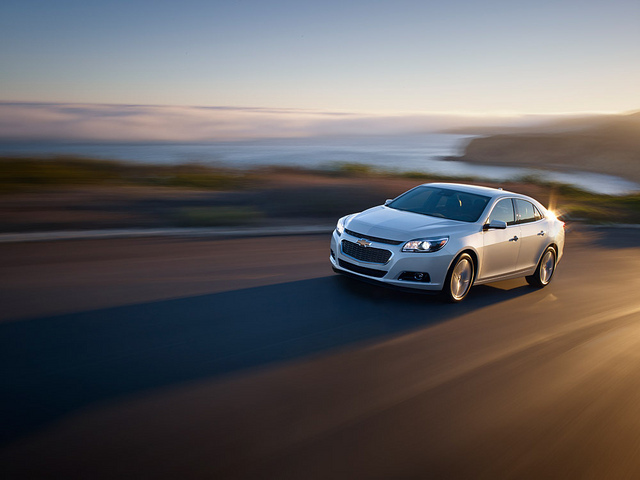 Chevrolet offers a lineup of vehicles that have repeatedly won recognition for dependability from J.D. Power, in addition to great fuel economy and tech features like onboard Wi-Fi that can connect up to seven devices. To get a road trip-ready vehicle for your family, visit Hanner Chevrolet for our wide selection of new and used Chevys.